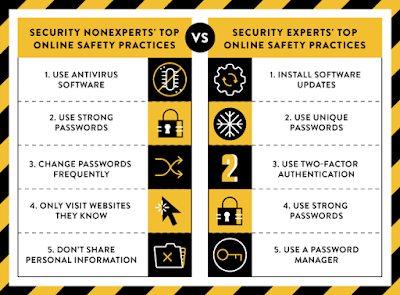 Security experts rely heavily on password managers, services that store and protect all of a user’s passwords in one place. 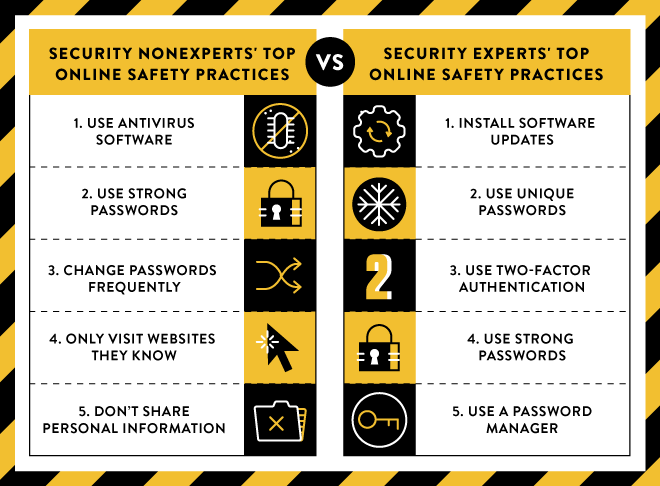 Experts reported using password managers, for at least some of their accounts, three-times more frequently than non-experts. Today the Trustworthy Accountability Group (TAG) announced a new pilot blacklist to protect advertisers across the industry. This blacklist comprises data-center IP addresses associated with non-human ad requests. We're happy to support this effort along with other industry leaders—Dstillery, Facebook, MediaMath, Quantcast, Rubicon Project, TubeMogul and Yahoo—and contribute our own data-center blacklist. As mentioned to Ad Age and in our recent call to action, we believe that if we work together we can raise the fraud-fighting bar for the whole industry. There are two distinct types of invalid data-center traffic: where the intent is malicious and where the impact on advertisers is accidental. In this section we consider two interesting examples where we’ve observed traffic that was likely generated with malicious intent. Publishers use many different strategies to increase the traffic to their sites. Unfortunately, some are willing to use any means necessary to do so. In our investigations we’ve seen instances where publishers have been running software tools in data centers to intentionally mislead advertisers with fake impressions and fake clicks. UrlSpirit is just one example of software that some unscrupulous publishers have been using to collaboratively drive automated traffic to their websites. Participating publishers install the UrlSpirit application on Windows machines and they each submit up to three URLs through the application’s interface. Submitted URLs are then distributed to other installed instances of the application, where Internet Explorer is used to automatically visit the list of target URLs. Publishers who have not installed the application can also leverage the network of installations by paying a fee. At the end of May more than 82% of the UrlSpirit installations were being run on machines in data centers. There were more than 6,500 data-center installations of UrlSpirit, with each data-center installation running in a separate virtual machine. 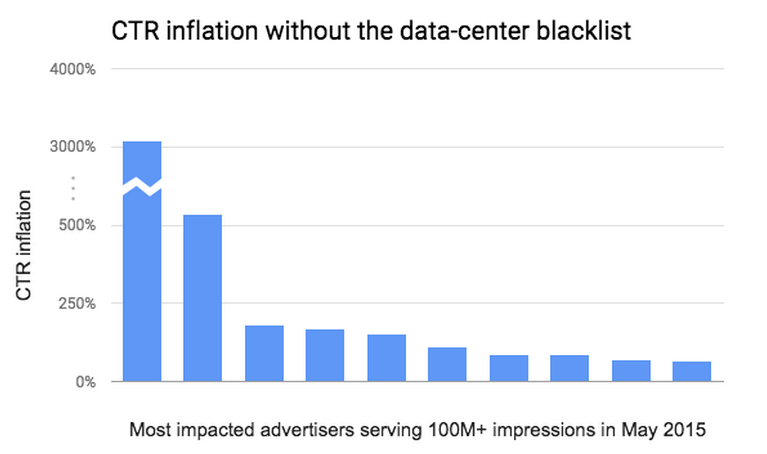 In aggregate, the data-center installations of UrlSpirit were generating a monthly rate of at least half a billion ad requests— an average of 2,500 fraudulent ad requests per installation per day. HitLeap is another example of software that some publishers are using to collaboratively drive automated traffic to their websites. The software also runs on Windows machines, and each instance uses the Chromium Embedded Framework to automatically browse the websites of participating publishers—rather than using Internet Explorer. Before publishers can use the network of installations to drive traffic to their websites, they need browsing minutes. Participating publishers earn browsing minutes by running the application on their computers. Alternatively, they can simply buy browsing minutes—with bundles starting at $9 for 10,000 minutes or up to 1,000,000 minutes for $625. Publishers can specify as many target URLs as they like. The number of visits they receive from the network of installations is a function of how long they want the network of bots to spend on their sites. For example, ten browsing minutes will get a publisher five visits if the publisher requests two-minute visit durations. In mid-June, at least 4,800 HitLeap installations were being run in virtual machines in data centers, with a unique IP associated with each HitLeap installation. The data-center installations of HitLeap made up 16% of the total HitLeap network, which was substantially larger than the UrlSpirit network. In aggregate, the data-center installations of HitLeap were generating a monthly rate of at least a billion fraudulent ad requests—or an average of 1,600 ad requests per installation per day. Not only were these publishers collectively responsible for billions of automated ad requests, but their websites were also often extremely deceptive. For example, of the top ten webpages visited by HitLeap bots in June, nine of these included hidden ad slots -- meaning that not only was the traffic fake, but the ads couldn’t have been seen even if they had been legitimate human visitors. This company uses bots to scrape the web to find out which ad creatives are being served on which websites and at what scale. The company’s scrapers also click ad creatives to analyse the landing page destinations. To provide its clients with the most accurate possible intelligence, this company’s scrapers operate at extraordinary scale and they also do so without including bot identifiers in their User-Agent strings. As the usage and complexity of software grows, the importance of security research has grown with it. It’s through diligent research that we uncover and fix bugs — like Heartbleed and POODLE — that can cause serious security issues for web users around the world. The time and effort it takes to uncover bugs is significant, and the marketplace for these vulnerabilities is competitive. That’s why we provide cash rewards for quality security research that identifies problems in our own products or proactive improvements to open-source products. We’ve paid more than $4 million to researchers from all around the world - our current Hall of Fame includes researchers from Germany, the U.S., Japan, Brazil, and more than 30 other countries. With the benefits of security research in mind, there has been some public head scratching and analysis around proposed export control rules put forth by the U.S. Department of Commerce that would negatively affect vulnerability research. The Commerce Department's proposed rules stem from U.S. membership in the Wassenaar Arrangement, a multilateral export control association. Members of the Wassenaar Arrangement have agreed to control a wide range of goods, software, and information, including technologies relating to "intrusion software" (as they've defined that term). We believe that these proposed rules, as currently written, would have a significant negative impact on the open security research community. They would also hamper our ability to defend ourselves, our users, and make the web safer. It would be a disastrous outcome if an export regulation intended to make people more secure resulted in billions of users across the globe becoming persistently less secure. Rules are dangerously broad and vague. The proposed rules are not feasible and would require Google to request thousands - maybe even tens of thousands - of export licenses. Since Google operates in many different countries, the controls could cover our communications about software vulnerabilities, including: emails, code review systems, bug tracking systems, instant messages - even some in-person conversations! BIS’ own FAQ states that information about a vulnerability, including its causes, wouldn’t be controlled, but we believe that it sometimes actually could be controlled information. You should never need a license when you report a bug to get it fixed. There should be standing license exceptions for everyone when controlled information is reported back to manufacturers for the purposes of fixing a vulnerability. This would provide protection for security researchers that report vulnerabilities, exploits, or other controlled information to any manufacturer or their agent. Global companies should be able to share information globally. If we have information about intrusion software, we should be able to share that with our engineers, no matter where they physically sit. Clarity is crucial. We acknowledge that we have a team of lawyers here to help us out, but navigating these controls shouldn’t be that complex and confusing. If BIS is going to implement the proposed controls, we recommend providing a simple, visual flowchart for everyone to easily understand when they need a license. These controls should be changed ASAP. The only way to fix the scope of the intrusion software controls is to do it at the annual meeting of Wassenaar Arrangement members in December 2015. We’re committed to working with BIS to make sure that both white hat security researchers’ interests and Google users’ interests are front of mind. The proposed BIS rule for public comment is available here, and comments can also be sent directly to publiccomments@bis.doc.gov. If BIS publishes another proposed rule on intrusion software, we’ll make sure to come back and update this blog post with details. Last year, we announced our increased focus on unwanted software (UwS), and published our unwanted software policy. This work is the direct result of our users falling prey to UwS, and how badly it was affecting their browsing experience. Since then, Google Safe Browsing’s ability to detect deceptive software has steadily improved. We want to be really clear that Google Safe Browsing’s mandate remains unchanged: we’re exclusively focused on protecting users from malware, phishing, unwanted software, and similar harm. You won’t see Safe Browsing warnings for any other reasons. Unwanted software is being distributed on web sites via a variety of sources, including ad injectors as well as ad networks lacking strict quality guidelines. 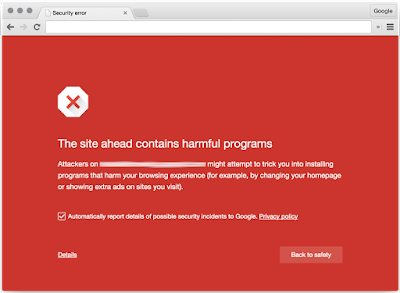 In many cases, Safe Browsing within your browser is your last line of defense.